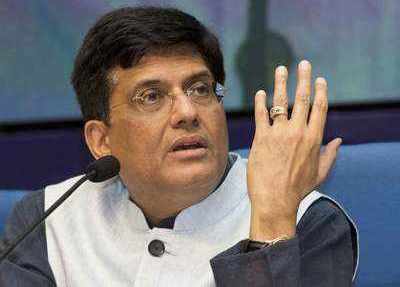 ONI Bureau: Minister of Railways and Coal, Piyush Goyal on Thursday has ordered inquiry into caving in of land in Talcher in Angul district. The Minister asked for a fact finding probe by a team of experts from DGMS, CMPDIL & MCL on this incident. It can be noted that a house in residential area in Talcher suddenly developed a hole on the floor triggering panic among the locals on Wednesday night. Within a few hours, the hole deepened into a 4-feet crater. The locals have alleged that Mahanadi Coalfields Limited (MCL) authorities were not filling the underground mines properly which resulted the crater. Union Petroleum Minister Dharmendra Pradhan took quick note of the incident and shot off a letter to Piyush Goyal on Thursday seeking a probe into the incident to ensure the safety and well-being of the residents. Mr. Goyal responded to Dharmendra’s letter yesterday and assured him that all concerns will be taken care of as utmost priority. Covering an area of 500 sq km, Talcher Coalfields has reserves of 38.65 billion tonne dry fuel, the highest in India. Shri @dpradhanbjp conveyed his concerns about reports of sudden caving in of land in Talcher, Odisha affecting some residential houses. Ordered a fact finding enquiry by team of experts from DGMS, CMPDIL & MCL on the incident urgently. Interests of local community paramount.